A ProudHorse Connections Educational Production. Filmed in Australia in 2013. Professionally filmed and edited, this TEN HOUR seven cases studies series is available for purchase or rent on VIMEO. Designed to teach attendees about the causes of equine laterality (crookedness & unevenness) and its consequences on equine soundness and performance, this case-based, practical presentation featuring Integrative Medicine Specialist Dr. Kerry Ridgway and Dressage & In-Hand Training for Wellness™ expert Manolo Mendez. took students through the real-life assessment and treatment of seven sport horses suffering from common sport horse problems including ulcers, tendon and ligament injuries, sacro-iliac and lumbar pain, TMJ, hyoid, atlanto-occiptal pain, and more. 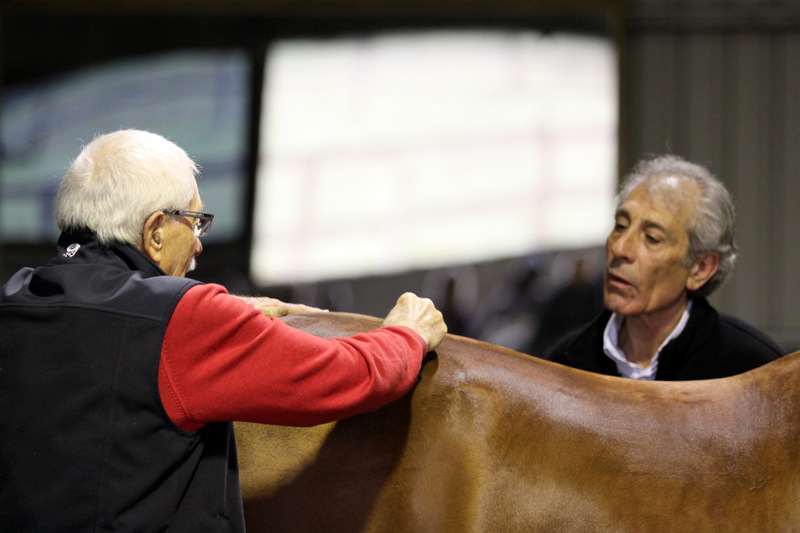 Attendees developed a better understanding of how to straighten and rebalance horses using integrative medicine in tandem with in-hand and hand-on corrective work. The presentation focused on the equine fascial, CNS and musculoskeletal systems, three systems often overlooked in the well being of the horse. Kerry Ridgway, DVM demonstrated and explained his evaluation process and the unique acupuncture and acupressure points diagnostic and treatment protocol he discovered to treat musculoskeletal pain and ulcers, as well as the advanced soft tissue mobilization techniques he uses to investigate musculoskeletal issues on horses, especially the performance horse. 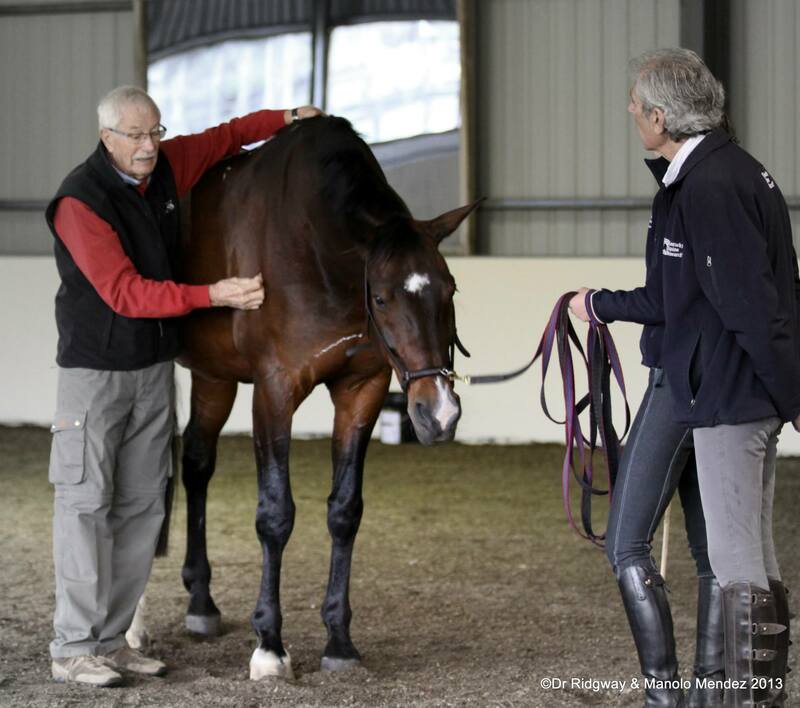 Manolo Mendez, horseman and dressage specialist demonstrated his checking process and in-hand, and hands-on re-alignment and rehabilitation techniques. Students learned the importance of assessing horses statically and dynamically to develop a “Whole Horse” perspective of equine issues. DISCLAIMER: Purchasing this DVD series does not replace attending one of Dr.Ridgway’s courses or training with Manolo Mendez. You will not be viewing this event in its entirety. This is an edited version with a focus on the case studies rather than the lectures. 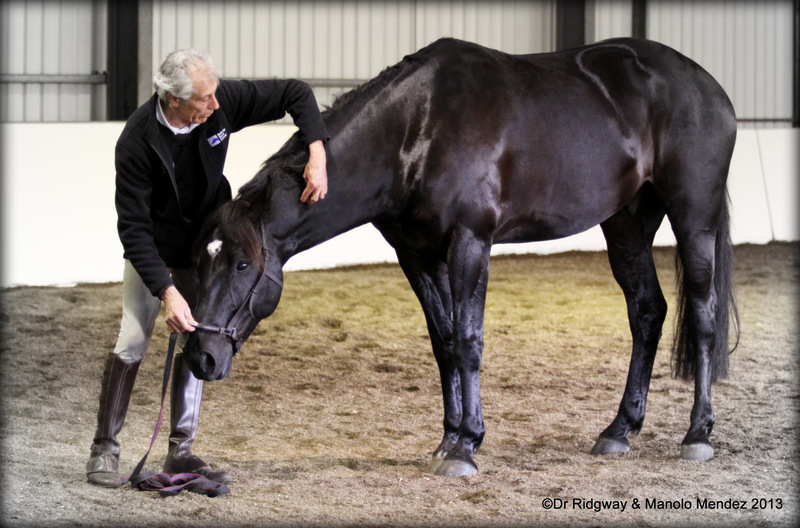 THIS CONTENT WAS CREATED FOR EQUINE HEALTH PROFESSIONALS. THE TECHNIQUES PRESENTED ARE NOT MEANT FOR AMATEURS THOUGH AMATEURS CAN GREATLY BENEFIT BY LEARNING ABOUT THEIR HORSES HEALTH STUDYING THIS CONTENT. IF YOU ARE NOT A PROFESSIONAL, PLEASE DO NOT ATTEMPT THE SOFT TISSUE MOBILIZATION, ACUPUNCTURE, ACUPRESSURE, ALIGNMENT AND FASCIA RETRAINING TECHNIQUES AND IN-HAND TECHNIQUES SHOWN HERE. PROUDHORSE CONNECTIONS, MANOLO MENDEZ DRESSAGE and DR. KERRY RIDGWAY ARE NOT RESPONSIBLE FOR THE CONSEQUENCES OF YOUR ACTIONS SHOULD YOU DECIDE TO APPLY THE TECHNIQUES SHOWN HERE WITHOUT BEING QUALIFIED TO USE THEM OR WITHOUT UNDERSTANDING THEM.